LONDON: Pilots at leisure airline Thomas Cook have gone on strike in a dispute over pay, in what unions say is the first strike by UK pilots since the 1970s. Members of the British Airline Pilots' Association (Balpa) walked out at 3 o'clock on Friday morning. Thomas Cook failed to obtain an injunction preventing the action but said flights would operate during the walk out. Balpa said it had taken the action "extremely reluctantly". Balpa general secretary Brian Strutton said: "Thomas Cook pilots have faced year-on-year, real-terms pay cuts, and cuts to terms and conditions, and our pilots have said 'enough is enough'. "We have, however, kept this action to a minimum - just 12 hours. 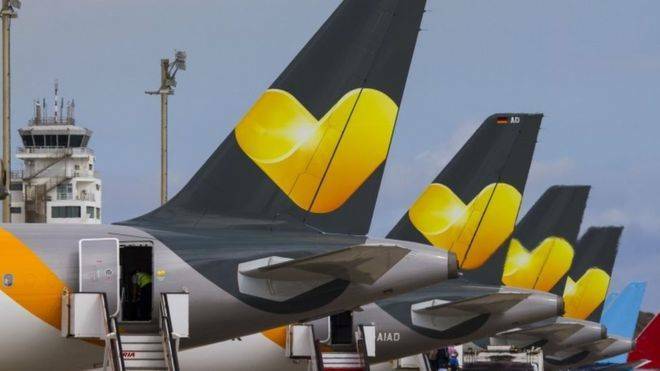 Thomas Cook have stated that all of its flights will operate - we hope that this is true, as Thomas Cook's customers are not to blame for this action." Thomas Cook offered a 1.5% pay rise, which Mr Strutton said was changed to 4% over two years during talks at the conciliation service. The union is seeking a one-year deal "substantially" in excess of the Retail Prices Index (RPI) inflation rate. The RPI rate stood at 3.6% in July.